Although the building itself looks quite ordinary, the Tiki Motel still sports an interesting marquee. with a neon flame that used to be animated. The motel itself was built in 1940 and was originally known as the Oracle Motel. 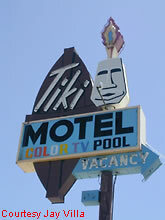 It became the Tiki Motel in 1963. 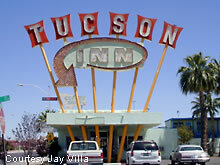 Check out the large marquee that stands tall outside the Tucson Inn, beckoning wayward motorists to check out its huge marquee and its lodging accommodations. The motel was built in 1953. 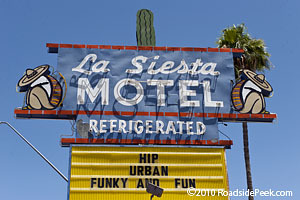 Check out this classic Arizona sign of the La Siesta Motel. The motel was built in the early 1940's. When you travel down the Miracle Mile, and I don't mean Wilshire, you'll come across the Terrace Motel, featuring a sign across the terrace. 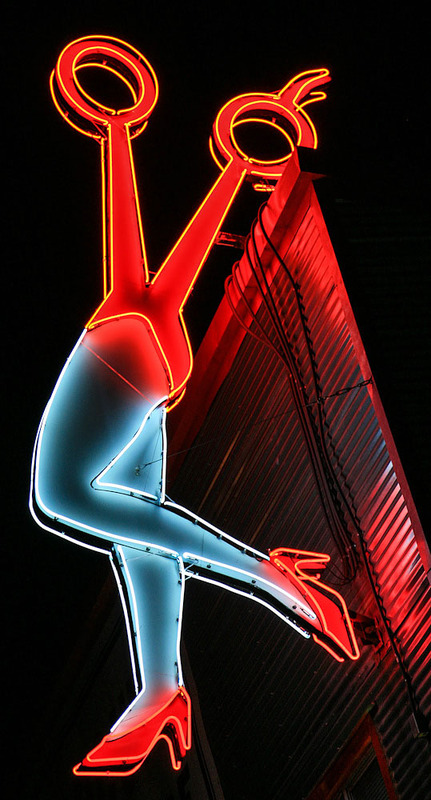 While in Tucson, check out the El Sol Motel and its appropriately designed sign. This motel is a flashback to the simpler days.